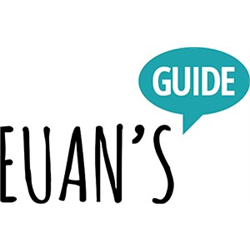 Euan’s Guide is the disabled access review website where disabled people, their friends and families can review, share and discover accessible places. The charity now has thousands of disabled access reviews and listings for places all over the UK and beyond. We&apos;re on the search for a new Communications Manager. If storytelling, marketing and promotion comes naturally to you and you are passionate about accessibility, you could be based with the team at our HQ in Edinburgh. Euan’s Guide makes it easier for disabled people to find great places to go. We’re a charity co-founded by Euan MacDonald MBE and his sister Kiki. At the heart of Euan’s Guide is the disabled access review website, used by disabled people across the UK and beyond to find and share accessible places to go. After becoming a powerchair user, Euan wanted to hear from other disabled people about places they would recommend with good disabled access. This can be anywhere from cinemas and hotels, to cafes and everyday essentials. Now the website has thousands of disabled access reviews submitted by disabled people, their families, friends and carers. Our Communications Manager has a vital role within Euan’s Guide. You’ll look after all of our day to day communications, focusing on three main areas, Digital Communications, Social Media and PR… But as with all small and dynamic organisations you’ll find yourself getting involved with much more! We’re excited to be looking for a team member who can plan a strategy, grow audiences, manage activities and measure results.